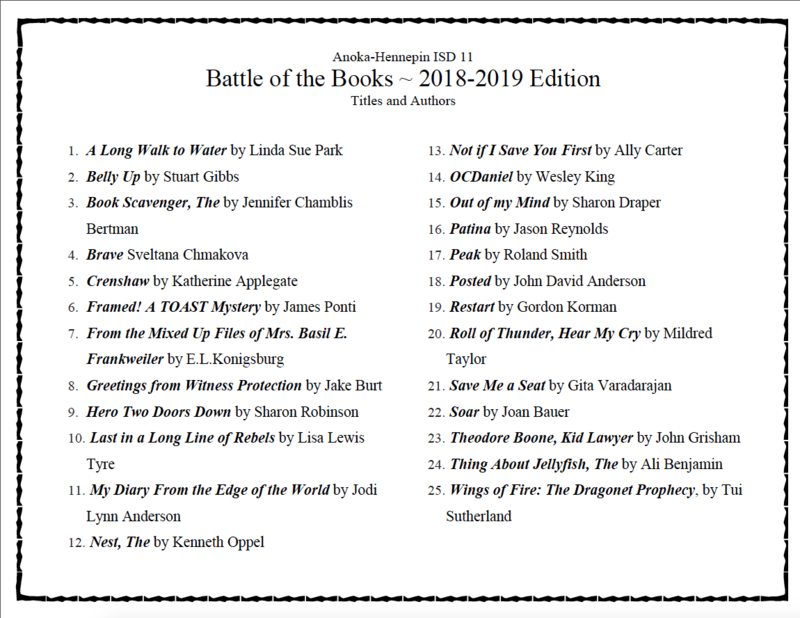 Battle of the Books is a yearly reading activity sponsored by the A-H middle schools. Several copies of each title will be available in the LMC in a special display. Students will form teams and devise a plan for reading all of the titles. On February 14, 2019 all teams will gather in the LMC for a quiz tournament on all 25 titles. The top three teams will move on to the district-wide competition. Information will be coming out in ELA classes! JMS will be hosting the District B.O.B. Competition on Wednesday, February 27, 2019! The building competition was held on February 15th. The top three teams moving on to the District competition are: Magical Caticorns, Sleepy Dragons, and Smart People Plus One. The District B.O.B. competition is February 28th--best wishes to our JMS teams.